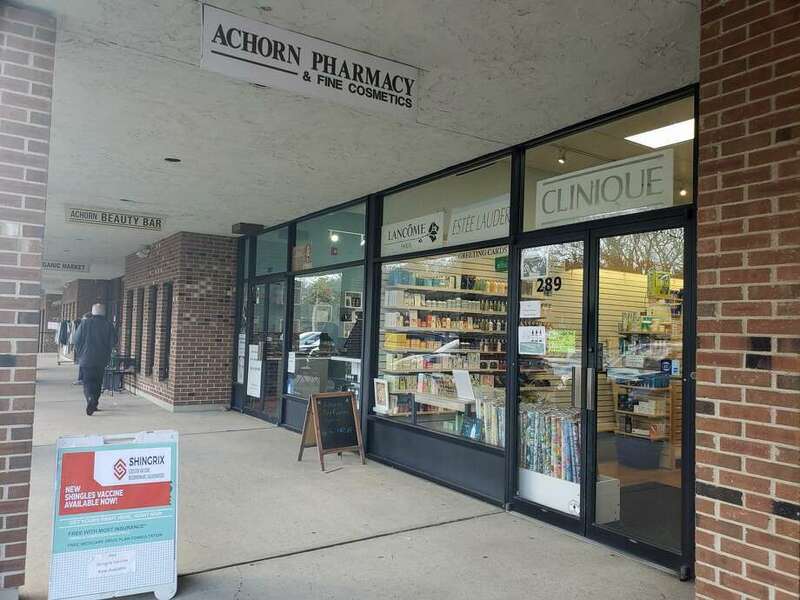 The Achorn Pharmacy and Achorn Beauty Bar in the Playhouse Square Shopping Center in Westport are set to merge into a single shop by June. Photo taken March 18, 2019. WESTPORT — Achorn Pharmacy and Achorn Beauty Bar are set to merge in June, according to pharmacy manager Manny Shah. The businesses, both owned by Ajay Desai, are relatively new to Playhouse Square, with the pharmacy uprooting from its longtime downtown location to Post Road East in 2011. The beauty bar — a high-end cosmetic, skin and nail care store that also offers beauty services — opened next door in 2016. Just shy of three years later, the two businesses are becoming one. Shah said having two stores with separate entrances has made it a bit confusing for customers. “It’s going to help us serve customers better,” he said. According to Shah, the beauty bar’s products and services will be incorporated into to the larger pharmacy space. No job cuts are expected. Signs outside the businesses Monday advertised a store merging sale, and some shelving inside the pharmacy was already cleared to make way for the beauty shop products. Shah said the merger would begin in May and conclude by June.